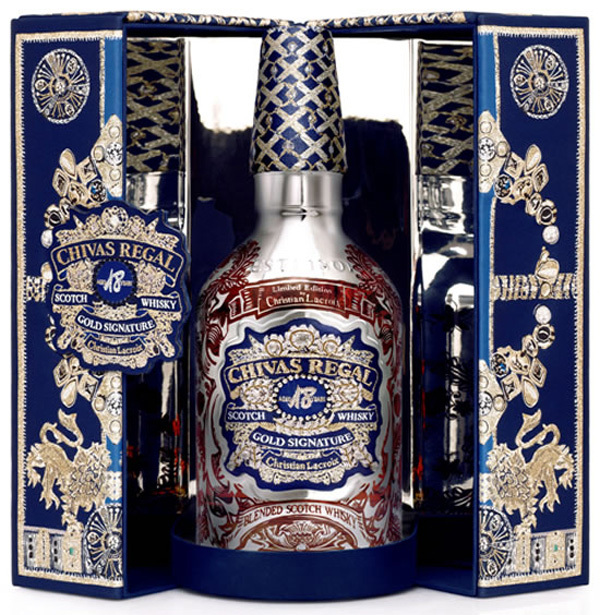 Chivas Brothers recently launch its latest collaboration with fashion designer Christian Lacroix, a luxury limited edition version of its super-premium Scotch whisky Chivas Regal 18yo. The limited edition offering was 18 months in the making and is now finally ready for debut. The limited edition Chivas Regal 18 Year Old by Christian Lacroix features the signature Chivas label on the bottle which has been beautifully embroidered in jacquard. The bottle is itself a piece of art itself boasting of a metallic design that echoes of Lacroix’s previous work for the famed liquor brand. The limited edition Chivas whisky comes in a magnificent brocade presentation box in French jacquard. The case has a mirrored interior and the bottle itself also has a jacquard embroidery. Only 3,000 bottles of the Christian Lacroix Chivas Regal 18yo will be available, with around one-third allocated to the duty free market at a retail price of $495. The limited edition offering from Chivas Regal is all set for a November debut at Aelia’s stores in terminals 2C and 2E of Paris’s Charles de Gaulle airport. After its Paris debut, the limited edition Chivas Regal 18 year old will be launched at various World Duty Free’s stores at key airports across the globe.